American Sign Museum – Located close to downtown Cincinnati, the museum houses vintage and neon signs that span the history of America. Aronoff Center for the Arts – Located in downtown Cincinnati, this performing arts venue includes touring Broadway shows, the Cincinnati Ballet, Cincinnati Music Theatre, Cincinnati Playwrights Initiative, the Contemporary Dance Theater, de la Dance Company, Exhale Dance Tribe, and MamLuft & Co. Dance. 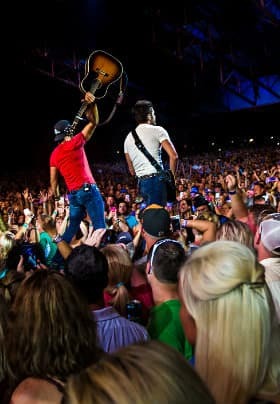 BB&T Arena – An arena on the campus of Northern Kentucky University that hosts musical and other performing acts, as well as various sporting events throughout the year. Behringer-Crawford Museum – Located in Devou Park in Covington, this museum was formerly the 19th century Devou family home with expansive views of the Ohio River, Cincinnati, and Covington. Permanent exhibits include arts and cultural items of the region, an extensive train set within a village, and family-friendly displays on rivers, roads rails, and runways. Brazee Street Studios – Located within a few miles of downtown Cincinnati, the 21,000 square-foot revitalized tool and die factory is home to artist studios, a retail shop, and Brazee Street School of Glass for both adults and children. (The) Carnegie – A multidisciplinary venue for the arts in Newport, Kentucky that includes exhibitions, concerts, theater, and arts programs. Cincinnati Art Museum (CAM) – Located in Eden Park and founded in 1881, the Romanesque-revival building displays a comprehensive collection of over 65,000 works spanning 6,000 years; free admission. 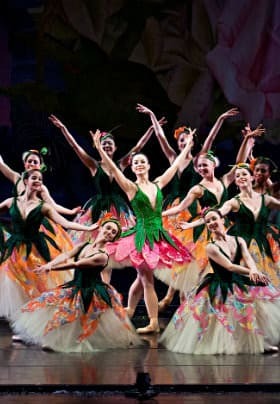 Cincinnati Ballet – Located in downtown Cincinnati, the professional ballet company performs primarily at the Aronoff Center. 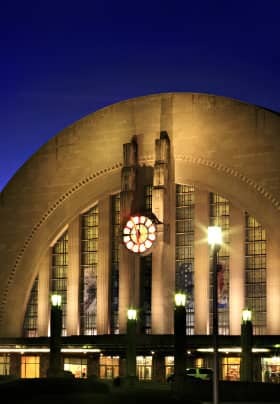 Cincinnati Museum Center at Union Terminal – Located in downtown Cincinnati, the art deco-style building (that is actually a repurposed 1930s train station) houses the Cincinnati History Museum, Duke Energy Children’s Museum, Museum of Natural History & Science, Robert D. Lindner Family OMNIMAX Theater, and Cincinnati History Library and Archives. Cincinnati Reds Hall of Fame and Museum – Located next to the Reds stadium, the museum established by the Cincinnati Reds franchise has over 80 inductees and showcases the team’s past through exhibits, photographs, and multimedia. 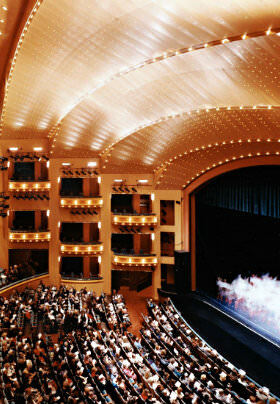 Cincinnati Symphony & Pops Orchestra – Located in Music Hall, a National Historic Landmark; the sixth oldest US symphony was founded in 1895 and is known worldwide for being a prominent orchestra, a place for new music, and for the ability to “let down its hair” through the Pops Orchestra. Cincinnati Playhouse in the Park – Located in Eden Park, this regional theatre with a national reputation was founded by a college student in 1959; the Playhouse has two theatres and is known for bringing prominent plays to Cincinnati. Ensemble Theatre Cincinnati – Located in historical Over the Rhine, the theatre is intimate and prides itself on being accessible to all, socially conscious, and for bringing progressive works to the Cincinnati region. Fire Museum of Greater Cincinnati – A family-friendly museum located in downtown Cincinnati, the venue offers 200 years of fire history, including a fire truck and fire pole. Krohn Conservatory – Located in Cincinnati’s picturesque Eden Park, the internationally recognized conservatory has over 3,500 species from around the world, showcasing plants from the rainforest to the desert. 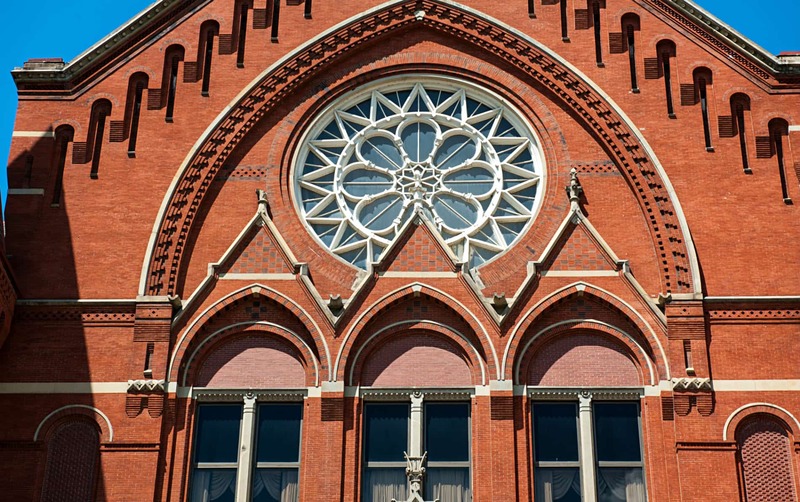 Music Hall – Located in Cincinnati’s Over the Rhine district, this National Historic Landmark is the home of the Cincinnati Symphony and Opera. National Underground Railroad Freedom Center – Located on the banks of the Ohio River, the Freedom Center is an active museum that provides a poignant view on modern slavery and lessons from the past; includes a restored slave pen, rotating exhibits, and a short movie narrated by Oprah Winfrey documenting the importance of crossing the Ohio River to freedom. 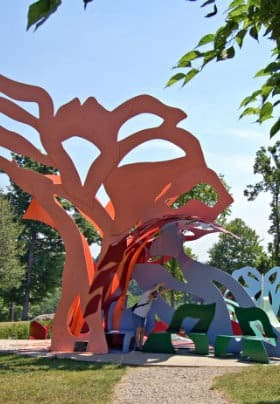 Pyramid Hill Sculpture Park & Museum – Located in Hamilton, Ohio, the 300-plus acre park features over 60 monumental contemporary sculptures and includes a museum that has sculptures from the civilizations of Greece, Rome, Etruscan, and Egypt. Rookwood Pottery – The active studio and showroom are open for free guided tours; the studio produces architectural tiles, art pottery, and commissioned work under its original trademark that was founded in 1880 by Maria Longworth Nichols; the first female-owned manufacturing company in the U.S.
Riverbend – Located on the river, the outside music venue includes both covered seats and lawn tickets for professional music acts, from rock and roll to classical. Taft Theatre – Located in downtown Cincinnati, the historic theatre is an arts center that provides an intimate venue for music, theatre, and other professional artists. 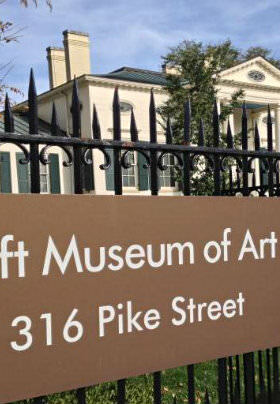 Taft Museum of Art – Located downtown, the award winning collection of masterpieces – from Rembrandt to Whistler – is displayed in the historical home of the Tafts and includes a wonderful café which utilizes locally grown produce in the menu.